I have to be the protagonist of this story to illustrate a point, but the story’s not about me. It’s about what happens when “us” (journalists) and “them” (everyone else) dissolve into one. My career-change is fairly irrelevant, but on January 4, my grandmother passed on to whatever’s next. She was a light in my childhood when other aspects of my family were dark. Two weeks later and three days before orientation started, my mother joined my grandmother. Her death was much like her life, messy and unplanned. I showed up in a condition I can’t recall to day three of orientation for the Social Journalism program at CUNY Grad. I was drawn to the program because of its premise: that journalism is a service to communities as opposed to a product and, hey, if you provide that service well enough, people might actually trust and/or pay you. That seemed to take traditional journalistic practice and combine it with community-building that fascinated me. We were tasked with choosing a community and positively impacting it. We would be judged in part by the community’s response. Do THEY think you helped them? An amazing concept that helps no one is, I suppose, a C? C+? I don’t know, but it’s not what the program wanted. Despite having a completely different idea when I arrived about the community I would focus on, I was pulled toward prisons. I had done some writing and protesting about mass incarceration, but I had these nagging questions. What does incarceration do? What happens when large swaths of a neighborhood are/have been incarcerated? What happens to kids and jobs and psyches? After bouncing around, I realized that those returning home from prison might have insight on all of these questions and more. What you find if you work with formerly incarcerated people is not one particular thing. Because reentry is so life-consumingly hard and supported so little institutionally, reentry stratifies people. Some people succeed, but most go back. Some excel and become models for others. Some, as MrFive told me, are stuck replicating the conditions of their incarceration long after they return home. Some have no home to return to. In working with this community, the goal was to hear what they need and how journalism could contribute to those goals. At first, most formerly incarcerated people I spoke with considered journalism’s service to the community to be as powerful as (and limited to) writing stories that more reflected their needs, struggles, and priorties. I was stuck in that myself. What else can journalists offer? But that’s the thing about listening: if you do it long enough, someone will tell you the answer. While I heard dozens of issues, two stuck out. First, I learned that successful reentry starts in prison. Expecting people to understand instinctually how to reintegrate after years or decades in prison is neither rational nor realistic. The second focus was their stories. They wanted to use their stories to make an impact, but they saw the greatest good in getting those stories to other communities. I was down to do that, but I didn’t want to “tell” stories in the usual way. Even the traditional research methods became boring. Interview after interview gave me boatloads of knowledge, but I still wondered what I was offering. Here was this magnificent community of strong, courageous people fighting for their lives, and I just sat there with a recorder. I stopped interviewing and started listening. I went to Eastchester Gardens in the Bronx after the NYPD arrested 87 young men there. I went to Tayshana Murphy’s birthday party. Tayshana was killed in the ongoing conflict between Grant and Manhattanville Houses in Harlem. 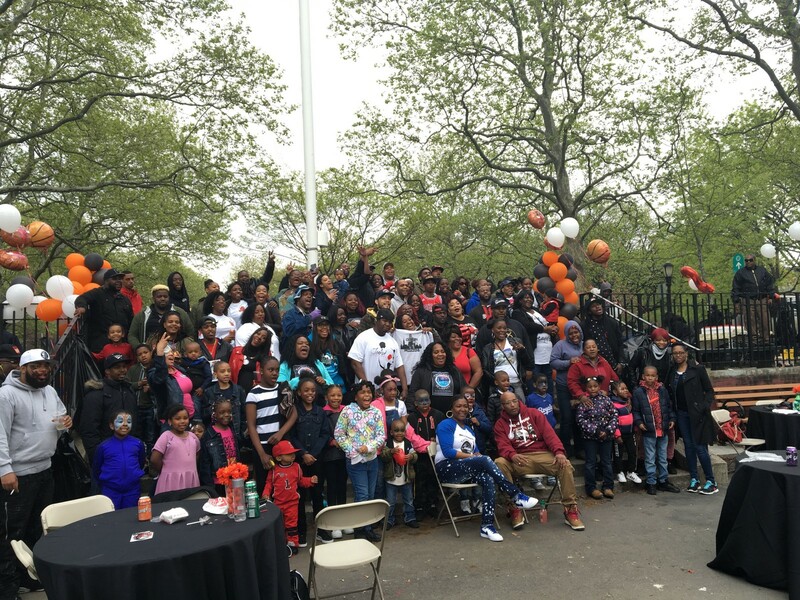 Her father Taylonn is a well-know community activist who now uses his daughter’s birthday as an opportunity to do something positive for the youth. I set up a table and just talked with people about what their communities need and the misperceptions about them. I interviewed over two dozen formerly incarcerated people. I went to two immersive experiences. One, put on by Mission to Mobilization, simulated the life of a returning citizen in all its hectic precariousness. The second was 6X9, a virtual reality experience of solitary confinement. 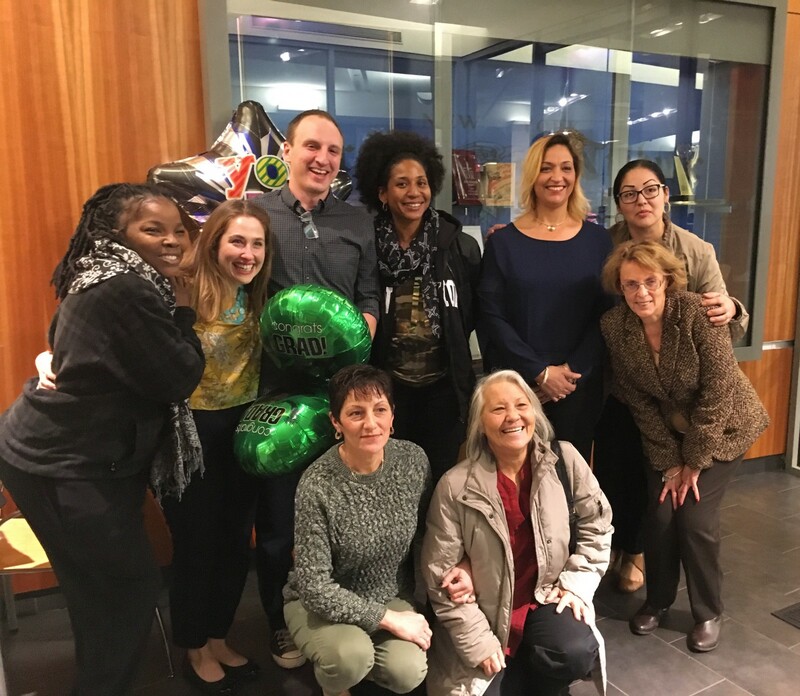 I volunteered, teaching weekly smartphone classes to women at Hour Children, Inc., a Queens-based organization helping currently incarcerated moms stay close with their kids, and helping formerly incarcerated moms reenter both their families and the world. The women in the class had done between 2 and (about) 25 years. I never asked them what they were in for. We learned about streaming vs. downloading; we played with apps and tried to get organized; we learned about Googling; we even sang Maxwell, who is the perfect artist to love if you ever go to prison because he only releases like one album every five years so you won’t miss much. It didn’t lead to an article or pitch. It was just about learning, and when it’s all tallied up, I believe the final score will show I learned a great deal more about resilience and grace from them than they did about smartphones. The physical product of this work is something I’m immensely proud of: Return. Return is a paper zine where formerly incarcerated people share their art and stories which are then connected to reentry resources. We hope this format will help those currently incarcerated begin planning for reentry in an engaging, entertaining, credible way. I won’t write much; I just put it together. I am currently working on getting approval from the NY State Dept. of Corrections to have it sent into prisons. If you’d like more details on this project, please click here. I grew my Twitter following it seems. I got some likes and recommends and shares. But there is a closeness between myself and the people I’ve worked with that numbers can’t describe. And, on the day of our final presentations, the brave, resilient, devastatingly smart women of Hour Children came out to support this work. It was, next to my wedding, the happiest moment of my life. Me, my wife, and the women of Hour Children. Photo by Carrie Brown. I’m compelled to summarize some of what I learned. The journalism industry likes to talk about how we can offer value to the people and places we serve. There’s no shortcut here. At the end of the day, value comes from being valued. If you don’t value your readers, your community, the very act of service, everyone will feel it. They might not know it consciously, but they will feel it. Second, journalism is an institution. Communities already struggle with institutions. Formerly incarcerated people have parole officers, police, private employers, and the scars of the literal institution they were held in pushing against their success everyday. If journalism simply replaces other institutions, we are only making a slightly more benevolent order, with the underserved community still at the bottom. Sure, we’re holding the police accountable, but what does the community have that they didn’t have before? Helping to build resources, strength, and closeness among communities is valuable to people because the value comes from them. Return was not my idea, it was the community’s. I just helped them actualize it. And last: I can tell you 100 things wrong with reentry, but I don’t know what it’s like. I, as a journalist, can offer you facts, but truth comes from the community. Often, people fill in the chasm between facts and truths with their own prefab worldview. As journalists, we should be striving to fill that space with as much of the community as possible, as innovatively as we can. I’m not a formerly incarcerated person, yet I’m also not separate from them; I know I’ve given them something, because they’ve told me; by admitting what I don’t know, I’m free to listen. It is my ferocious hope that we will keep going, together. An ongoing look at the effects of incarceration on New York City’s people and neighborhoods.